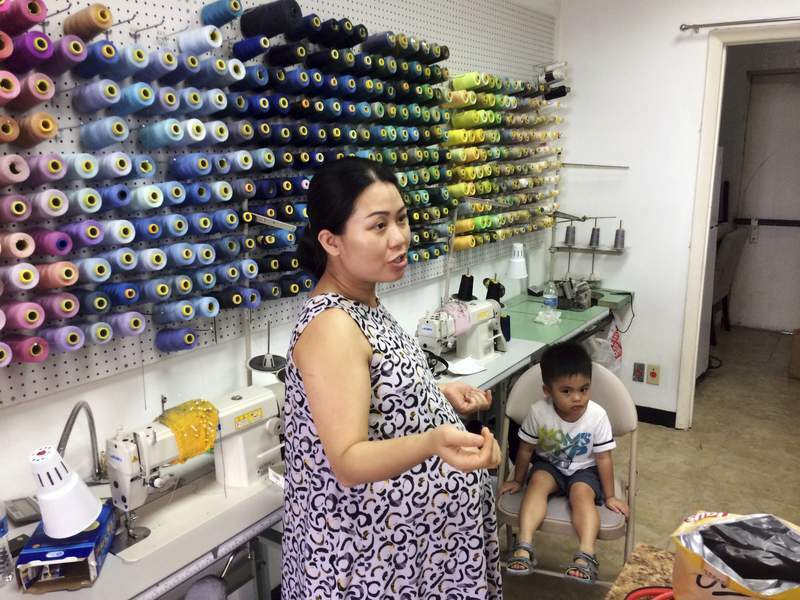 Associated Press Maria Tran, co-owner of Chic Tailors in Meyerland, Texas, prepares to open her business with her 3-year-old son, Ander. Tran wants to get the shop open quickly so her sister can take over while she gives birth to her second child, a daughter. Bobby Jucker, owner of Three Brothers Bakery, cleans up the storm damage at his bakery in Houston. Harvey is the fifth storm to damage his business. HOUSTON – Bobby Jucker has had it with hurricanes. In 2008, Hurricane Ike tore the roof off his business, Three Brothers Bakery. Now, he estimates, he's facing $1 million in damage and lost revenue from Harvey – the fifth time a storm has put his bakery out of commission. He's always recovered. But this time, he wears the weary countenance of a man nearly broken. More than a week after Harvey poured more than 4 feet of rain on Houston, killing at least 65 people, destroying thousands of cars and leaving hundreds of thousands of families with flood-damaged homes, America's fourth-largest city is striving to reopen for business. Houston's airports and shipping lanes reopened to limited traffic last week. Some workers returned to their offices last Thursday or Friday. More followed Tuesday after a long Labor Day weekend of cleanup and regrouping. With floodwaters receded, some parts of the sprawling metropolitan area look virtually untouched. 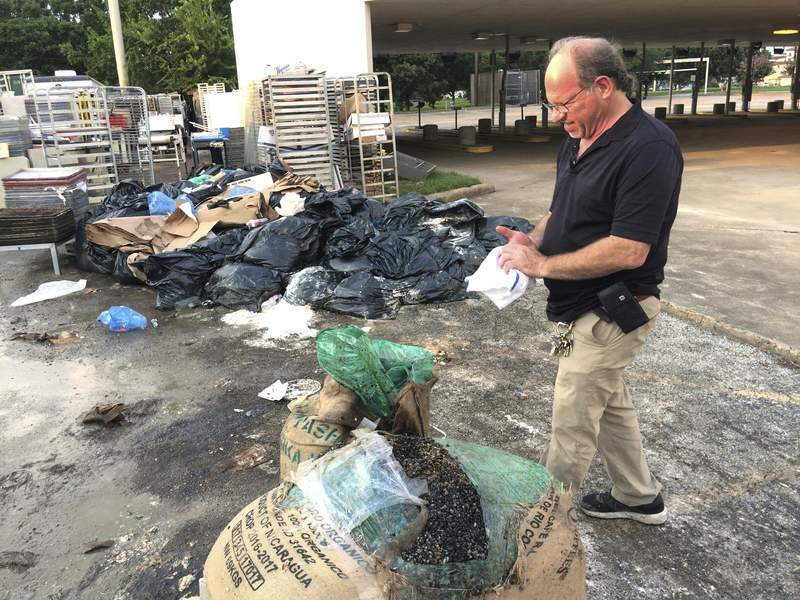 Yet in other places – the leafy bedroom community of Kingwood or the Meyerland neighborhood – piles of debris sit above street curbs, industrial-size dumpsters dot shopping-center parking lots and the air is thick with the odor of mold and decay. Many big businesses will likely recover relatively quickly. But small companies will struggle to replace moldy carpets and damaged equipment, to reconnect with suppliers, to meet payroll and to draw back customers, many of whom are nursing financial injuries of their own – swamped cars, flooded basements, leaky roofs. Some companies are still too overwhelmed to resume business, which means their employees remain idle and unpaid. FEMA estimates that nearly 40 percent of small businesses never reopen after a disaster.